If you’re the kind of adventurer looking to pack up the RV and head on a trip packed with things to do and places to see, you need to put Kanab, Utah as your destination. Kanab is located in southern Utah only a few miles from the Arizona border and provides hiking and sightseeing opportunities unlike anywhere in the United States. Within a 90 minute drive from Kanab, you can visit 3 National Parks (Zion, Bryce, and Canyonlands) 4 National Monuments (Grand Staircase Escalante, Grand Canyon Parashant, Natural Bridge, and Rainbow Bridge) 2 National Forests (Dixie and Fishlake), 2 State Parks (Snow Canyon and Sand Hollow) and 1 National Recreation Area (Glen Canyon). Not many other basecamp spots in the United States are the gateway that Kanab is to so many different adventures and sights to see. We’ve put together a list of the highest-rated RV parks in and near Kanab, UT for you to call home on your next trip to Southern Utah. 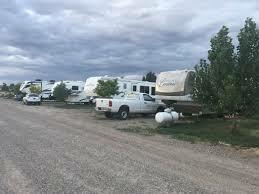 Kanab RV Corral is located on the south side of town and provides that close-to-the-action feel that you may be looking for. With amenities to boot, you’ll not only be able to relax but also have fun in their refreshing pool or watch your favorite show after a day of hiking from the comfort of your RV with their fast wifi. Laundry machines, with lost sock collection! Being in the heart of Kanab, not only will you be able to access some of the greatest natural wonders in the country, but you’ll be able to come back to town and enjoy the luxury of going out to eat or seeing a live cowboy show in the city. It makes it easier to relax knowing your campground has clean showers, laundry facilities, a relaxing pool, and excellent wifi. Great Location! Very Clean! Friendly Staff! 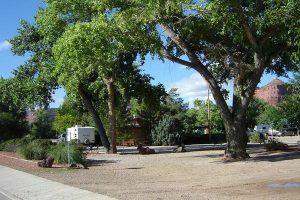 Located right in the heart of Kanab, The Hitch-N-Post RV Park provides the in nature feels with large shade trees and xeriscape landscaping throughout the park. Not only does the park offer things such as free internet and showers, but it’s within walking distance to many conveniences in the town like laundry, shopping, and restaurants. Prices range from $35 to $50 a night whether you’re sleeping in a tent, cabin or your RV. Their weekly and monthly rates are seasonal. Not only does this park have all the RV park essentials, but it also includes friendly staff who are knowledgable about the surrounding areas. Whether you need advice for a hike to go on, a place to rent a dune buggy or merely want a restaurant suggestion, look no further than your camp hosts. Centrally located in downtown Kanab, this park provides as an excellent basecamp for your southern Utah and northern Arizona adventures. Newly opened in 2018, it not only is close walking distance to grocery stores, restaurants and more but also provides a lovely and clean campground for you to return home to. Prices range from $20 to $40 a night depending on if you’re in a tent site or RV site. Being a practically brand new facility, it provides clean bathrooms and showers, large sites and helpful staff. It is also within walking distance to local eateries, shops and visitor centers to help fuel your adventures. 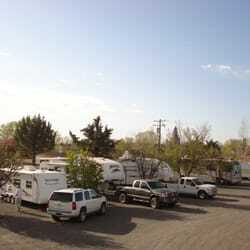 If you’re looking for a cozier RV park that’s not right in the middle of town, this park is your best bet. 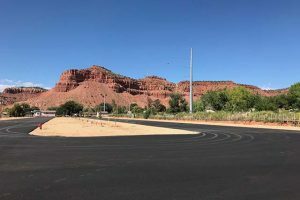 Located just 7 miles south of Kanab, this smaller park offers excellent amenities to keep you comfortable and happy while visiting the area. Prices in daily/weekly/monthly rates as $30-$35/$150/$425 respectively. 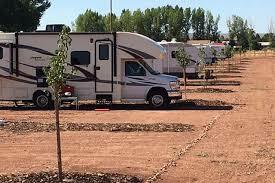 This newer RV park has chosen to keep it small, and for a good reason. It provides a cozy atmosphere for those travelers who like to stay off the main road. And with construction on the way to add facilities for the guest, it’ll only get better! With free wifi and a little peace and quiet, you can’t go wrong. If you’re looking for a vacation down to Southern Utah and you want to experience something a bit different, then look no further than the Best Friends Animal Sanctuary. This sanctuary is home to approximately 1,600 homeless animals and to locals is a very sacred place. During your stay, you can visit and play with adoptable pets, take a guided hike or volunteer for some one-on-one time with animals who need some extra loving. While not for everyone, staying at the sanctuary is an experience you wouldn’t soon forget. Besides the fact that it’s not an official RV park, therefore giving a much more unique experience to your typical camping, you also are staying on the sacred animal ground. Being able to have one-on-one encounters with animals whether they be dogs, cats, horses, bunnies, or more, is something that no other park can give you. This park is located right where the adventurer wants to be and only a few miles south of Kanab. They are located in the center of three national parks and near Glen Canyon National Recreation Area. With the ability to accommodate all sizes of RVs, they are the perfect place to call your home away from home while you explore what nature has to offer. Prices range from $25 per day to $35 per day. They also offer weekly and month rates at request. This smaller park doesn’t lack in the big park amenities or facilities and has friendly staff to help you coordinate your stay and adventures. Its central location provides the perfect spot to set up shop for all your outdoor adventures. Not only does the town of Kanab, UT provide the unique experiences itself, such as visiting the Little Hollywood movie museum or having dinner at a live cowboy theatre, it also has unique and breathtaking views anywhere you turn. If you’re looking for a stop to make on your road trip that will include a wide variety of landscapes and things to do, make it Kanab, UT. Picking any of the mentioned parks above will provide with you a fantastic spot to park your RV and come home to after a long day of exploring. If you will be crossing over into Colorado check out our article The 8 Best RV Campgrounds in Colorado. It’s full of great info about the best RV Campgrounds all over the Rocky Mountain State. 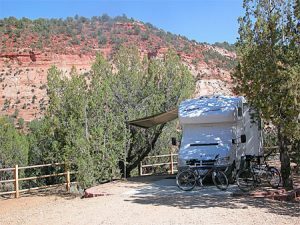 Do you have any comments about great campgrounds in Kanab, Utah? Please share your thoughts in the comments section below. Thanks for reading this article and if you would like to email us directly, please visit our Contact Page to send an email. To see a list of all of our articles check out the Blog Archive! Sign me up to the RVBlogger Community! Hi, we are Mike and Susan. We have been camping and RVing for most of our lives and we have camped all over the country. And while we are camping and RVing we also enjoy hiking, biking, and fishing too. We have spent countless hours researching and trying all sorts of gear and ideas to make the most of our time. Now we want to share what we’ve learned with you. Posts on this website may contain affiliate links. We may earn a commission and/or products from the companies and/or links mentioned in this post at no extra cost to you. All opinions stated are our own. Click here to read our full disclosure. Travel Trailer Depreciation | What’s My Travel Trailer Worth? Can I Legally Ride In A Travel Trailer?